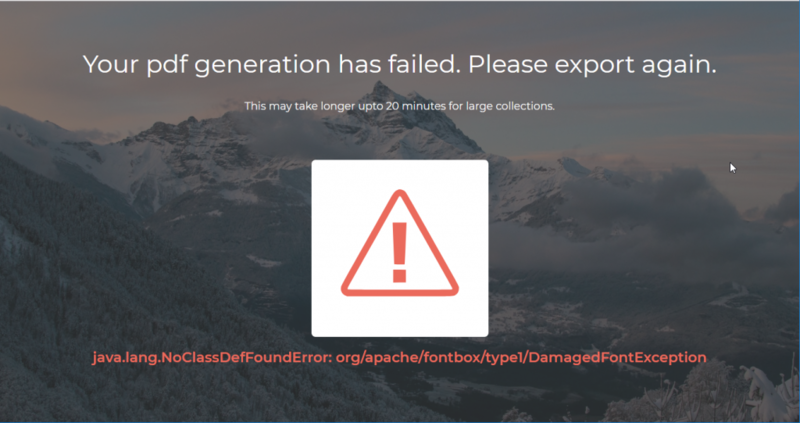 In the Web Client, if you are trying to download an asset or collection as PDF but it fails, then you need to apply a patch on your Preview Server to fix this. The error message would be similar to that shown below. This issue exists from Zoom 7.1 till Zoom 7.2.1. 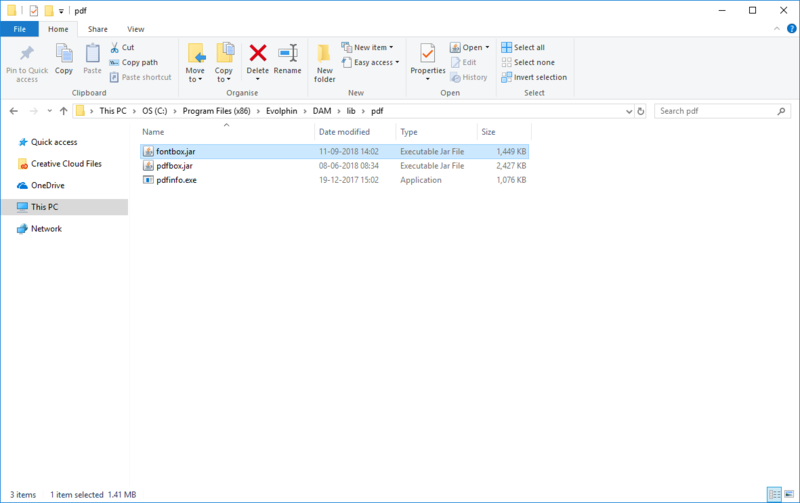 Download the zipped folder for the patch on your Preview Server. Extract the zipped folder to get a file named fontbox.jar. Copy the fontbox.jar file to the pdf folder inside lib in your Zoom installation directory (Linux: [ZoomDir]/lib/pdf/; Windows: [ZoomDir]\Evolphin\DAM\lib\pdf\). Restart Zoom Preview Service on your Preview Server. The patch has been applied so you can access the Web Client and download the asset or collection as a PDF now.